Central Ave NE. Bordering Northeast Minneapolis’ Art District, a neighbor to St. Anthony Main, and home to delicious ethnic restaurants such as Holy Land, Sen Yai Sen Lek, El Taco Riendo, Adelita’s Mexican Restaurant and numerous bakeries and cafes (Diamonds Coffee Shoppee, a personal favorite), Central Ave is capturing more and more investment attention. Most metro residents and RE professionals are aware, once a working-class neighborhood “Nordeast” has recently seen an influx of young professionals and artists. The demographic shift combined with revitalization efforts, has resulted in a resurgence of both commercial space and a thriving artistic community. In considering commercial development on Central, traffic counts are attractive ranging between 18,000-20,000 vehicles per day. The City recently renovated the local library, and is currently rehabbing Central Avenue’s median. Several Northeast agencies are also combining forces to install artwork along this important corridor. Following these and other like initiatives and perhaps following the influx of new blood in the Northeast community, there are some very exciting new development projects including the redevelopment of blighted buildings and luxury-slash-low income artist live work spaces. From for-profit neighborhood cooperatives, to commercial developers, to non-profits, investors are working on an array of projects ultimately enhancing and maybe even redefining the corridor. One such active investment group includes the Northeast Investment Cooperative (NEIC), a for-profit coop working to convert vacant spaces into neighborhood businesses. The cooperative, made up of neighboring residents, aims to collectively buy, rehab and manage commercial space along Central. Its members are also considering working to serve an “incubator for small businesses” to help small business along the corridor succeed. One of the cooperative’s founding members, Steve Sylvester, noted there is “a lot of interest from people who live around here in getting a piece of Central Avenue.” At $1,000 per share, NEIC is a great option for local residents to have in say in development. According to a recent article published in the The Downtown Journal, all members of NEIC have a vote in any decision subject to direct control, the option to run for a spot on the co-op’s board of directors and receive a share in profits. 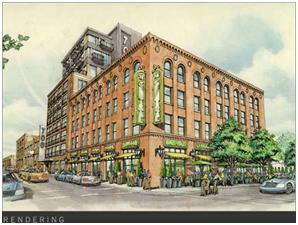 Current redevelopment projects along Central include Java Properties’ (Java) 700 Central Ave. NE. This mixed use space boasts beautiful timber and brick space, ample natural lighting with large windows, lot and street parking, convenient access to downtown Minneapolis with attractive NE Minneapolis rents. 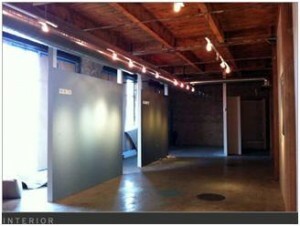 Java is leasing up to 10,000 Sq Ft of space. One block west of Central Avenue, the Northeast Development Corporation partnering with ArtSpace, is developing Jackson Flats, an artist live/work housing community project. Partially funded through low income housing grants, the Jackson Flats project will help revitalize a vacant parcel of land at the corner of 18 ½ Avenue NE and Jackson Street NE. 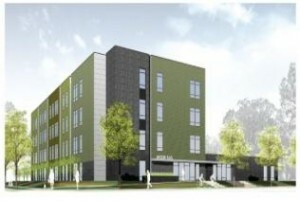 This $8.8 million dollar project will include 35 one, two and three-bedroom apartments with rent ranging from $430 to $1,200 a month (depending on the resident’s income). The live-work space will include 10’ and 12’ ceiling heights, oversized doors concrete floors, underground parking, industrial strength plumbing fixtures, high quality natural lighting, sound privacy, good ventilation systems, and industrial strength finishes and furnishings throughout. Common spaces will allow art exhibition and community activities further connecting the development with the Northeast community. With many properties currently for sale along Central, it will be an interesting corridor to watch further develop. If you have a comment on community development cooperatives, Central Ave. development or other neighborhood development insights, please comment for further conversation!